Read more in the article from Health IT Exchange about Hugh Chatham Memorial and why they switched to iris biometrics with RightPatient®. 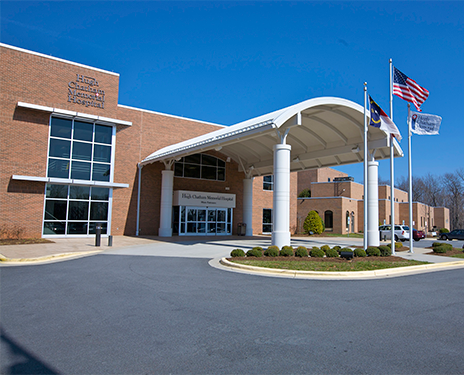 Nestled in the western piedmont wine country of North Carolina, Hugh Chatham Memorial Hospital has provided high quality medical care for residents over a distinguished 82-year history. A private, not-for-profit hospital, HCMH employs more than 940, and is served by more than 70 physicians representing 26 specialties or subspecialties. With a legacy of serving the citizens of our region, Hugh Chatham continually works to earn their reputation as the region’s choice for technology and care. They focus on quality of patient care and achieving excellent patient satisfaction to be the best community hospital in the nation and consistently deliver exceptional healthcare by demonstrating the values of service, accountability, respect, and safe care. Like most hospitals, Hugh Chatham’s focus on providing quality, safe patient care required consistent evaluations of internal IT infrastructure to identify areas of improvement. Duplicate medical records, overlays, and patient fraud continued to be areas of concern due to their negative impact on patient safety and hospital liabilities. High Chatham’s challenge was to identify a flexible and affordable technology that would create a unique identifier linked to a patient’s medical record to eliminate duplicate medical records and patient fraud. The solution must be easy for staff to use, require minimal internal resources to implement, seamlessly interface with their electronic health record (EHR) system, provide fast results, and could easily be scaled to use across a health information exchange (HIE) or integrated delivery network (IDN) ensuring a clean MPI. Based on the limitations of the palm vein patient identification system, they elected to switch and adopted RightPatient®, the only multi-biometric patient identity solution that uses iris biometrics, considered by many to be the most accurate biometric modality based on a system that prevents duplicate medical records at the time of enrollment. The switch to RightPatient® has proved to be a smart choice by Hugh Chatham Memorial Hospital as they continue to capitalize on the distinct advantages it offers over their previous patient identification system.